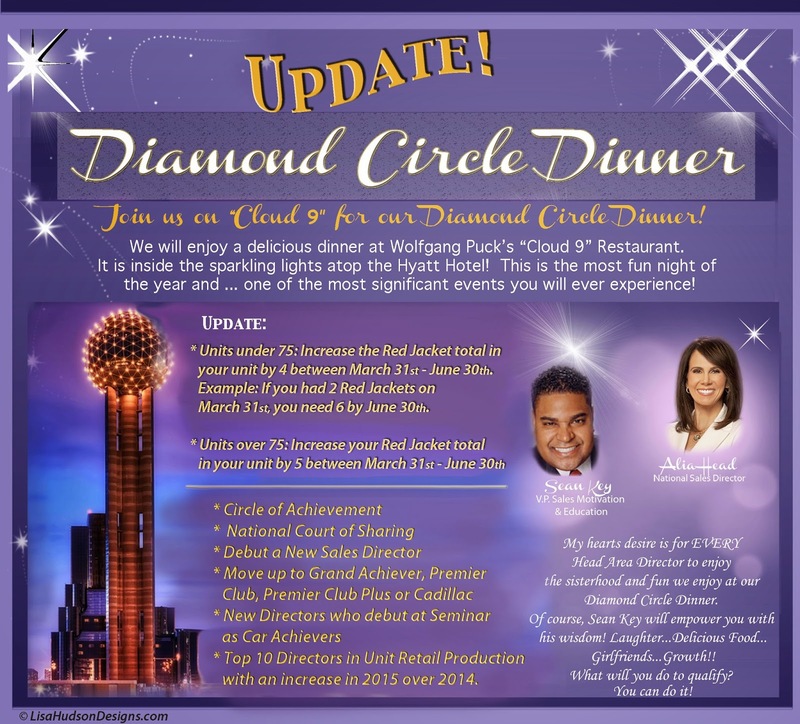 Exciting Updates: How you can qualify for our Head Area Diamond Circle Dinner. 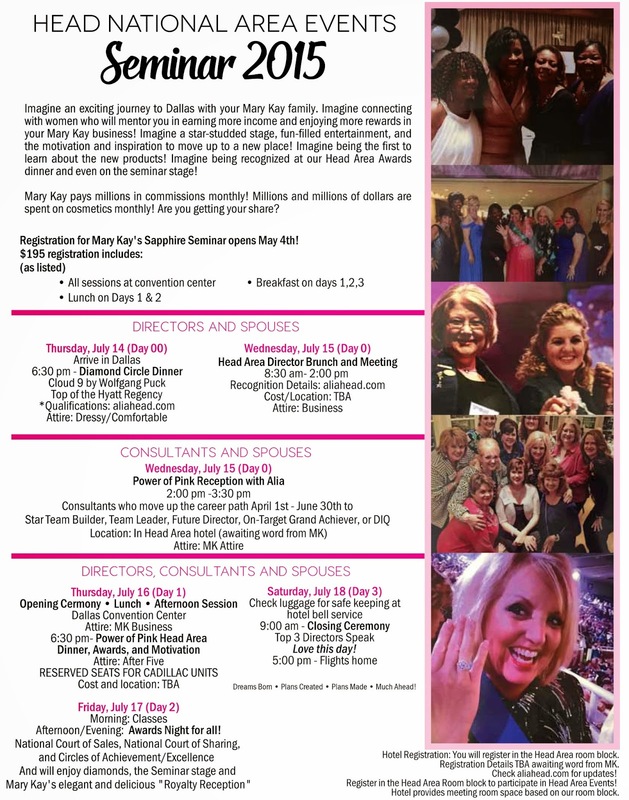 The Head National Area is gearing up for Mary Kay Seminar 2015 in Dallas Texas! SEMINAR 2015 is in the works! Exciting plans are being made so stay tuned as we announce the dates to register for the many upcoming events!